I've been trying to think up some quick Christmas gift ideas for the fast approaching holiday season, and here is one that is not only quick, but also very easy and inexpensive to make. It's a knitted cotton face cloth made from one ball of worsted weight cotton yarn and size 9 needles. What a nice gift this would make, wrapped up together with a bar of lavender soap and a pretty ribbon. Remember a few weeks ago I was wondering how I could knit until I had used up half of my yarn and then finish the project without running short or having a lot left over. I thought of using my postage scale to tell me when I had gotten to the halfway point. This is the project I was making at the time, and you can see that I didn't trust my scale and I started decreasing at least a row or two before I needed to. Now I have that little blob of yarn leftover. I'm sure I can think of something useful to do with it. Continue from * to * until you have used up half of your yarn, or until your cloth is half as big as you want it. 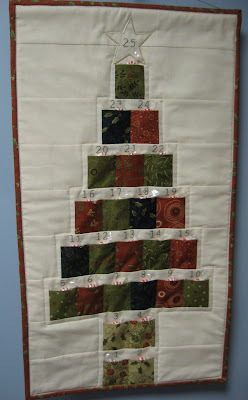 Continue from * to * until you have 3 stitches left on your needle. Now you have a soft cotton face cloth, knit in garter stitch on the diagonal. I'm not sure it could get any easier than that! This corner shows the point where the increasing stopped and the decreasing began. The edge on the right side is the 'yarn over increase' edge where a little hole is left in the fabric from each yarn over. To continue that hole in the edge on the decrease rows, I worked a 'knit 2 together' decrease, then a yarn over to make the hole, then another 'knit 2 together' decrease. 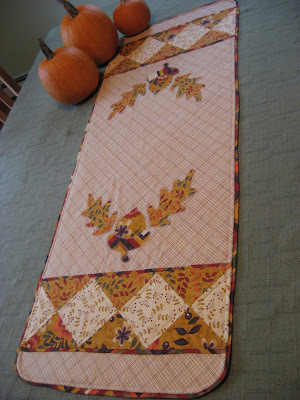 This effectively only decreases the stitch count by 1 on each row and continues the border design all around the cloth. This is the cast on corner -- nice and neat after the tail is woven into the fabric. Here's an interesting view of the texture you get by knitting every row, which is called garter stitch. Don't you think this would feel good on your face in the morning? This is an great pattern to use for a quick and easy baby blanket too. Using soft worsted or chunky yarn and needles one or two sizes larger than the yarn calls for, follow the same pattern until the piece is as long on one side as you want the edge of the blanket to be, then start decreasing until you are finished. This may require changing to circular needles towards the middle of the project, but it makes a nice warm, soft baby blanket which does not require following a pattern. Easy peasy!